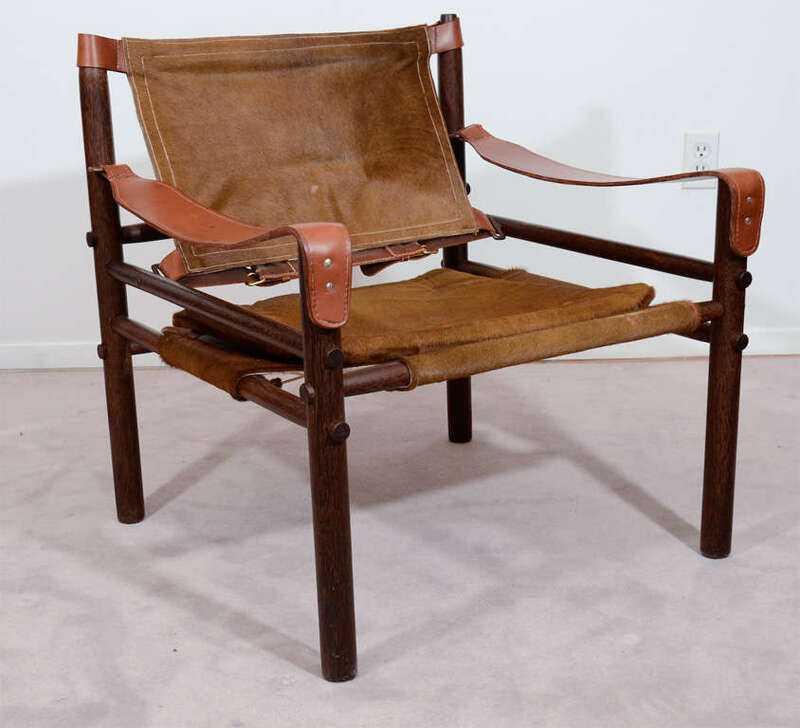 A single wood frame safari style Sirocco chair by Arne Norell. 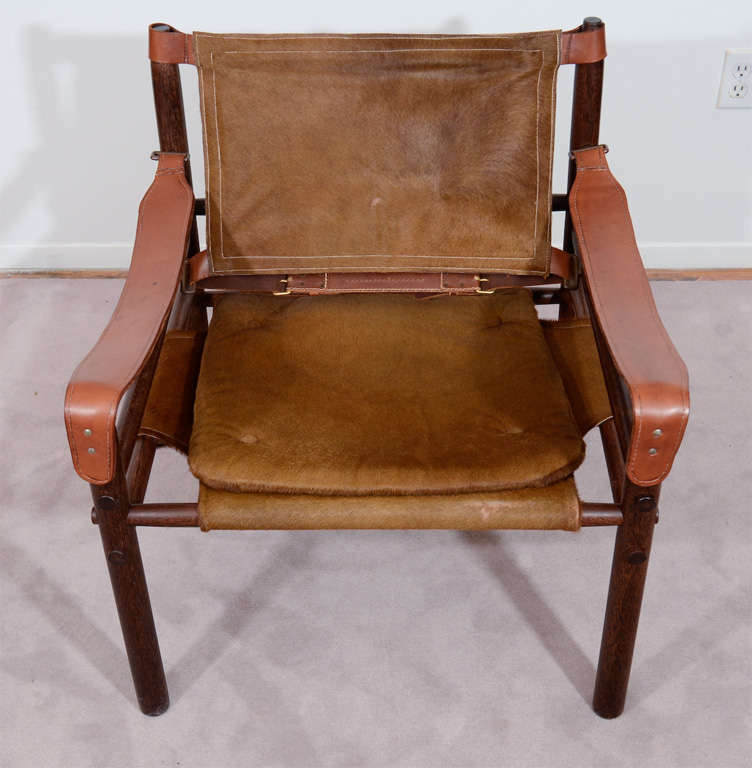 The piece has leather arm rests and furry animal hide seat and back. 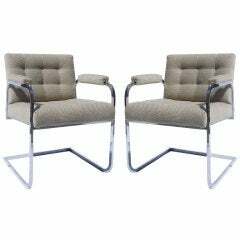 "Sirocco" easy chair in mint condition. 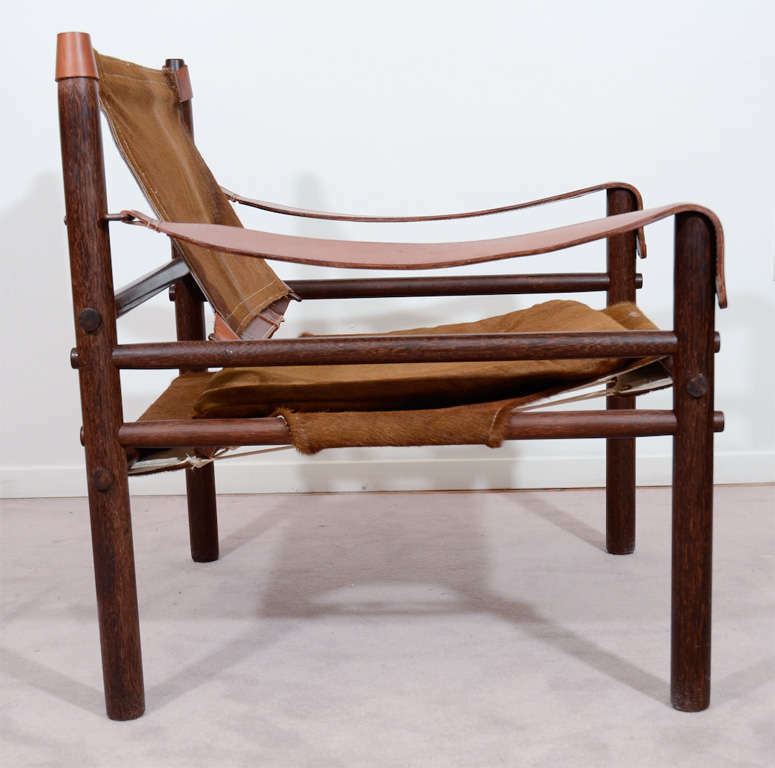 Designed by Arne Norell, produced by Arne Norell AB in Aneby, Sweden. 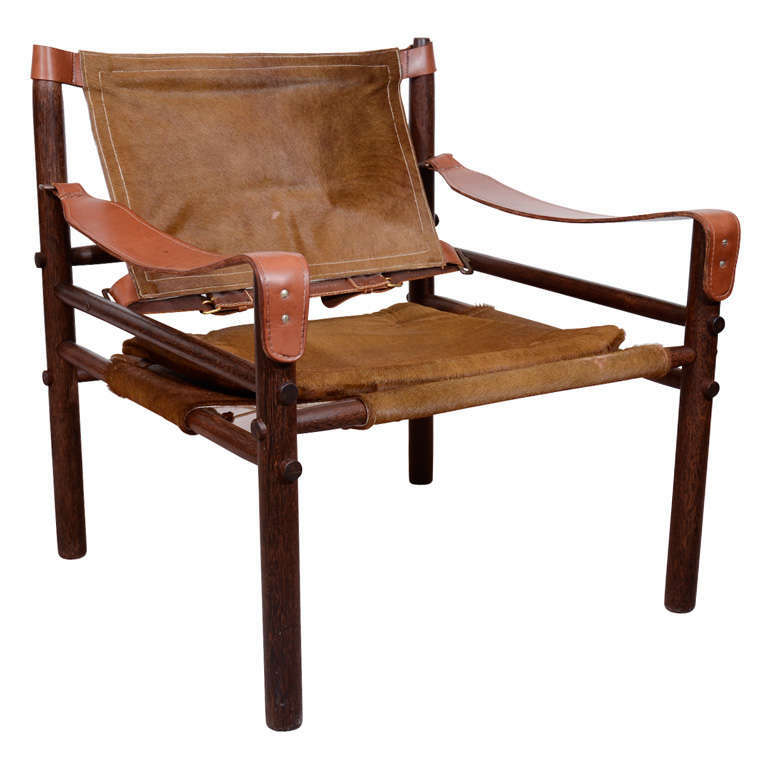 Rosewood safari 'Sirocco' chair designed by Arne Norell and made in Sweden, circa 1960s. 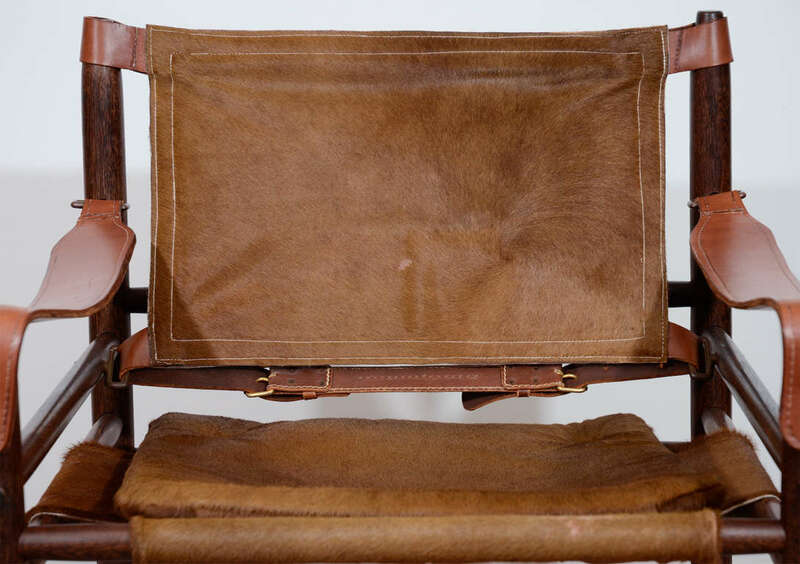 Features new cowhide slings. 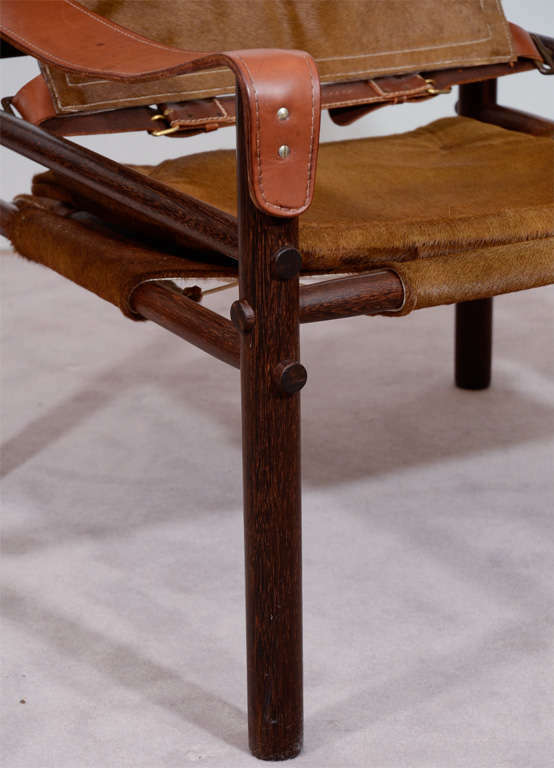 Original patina on the rosewood frame. 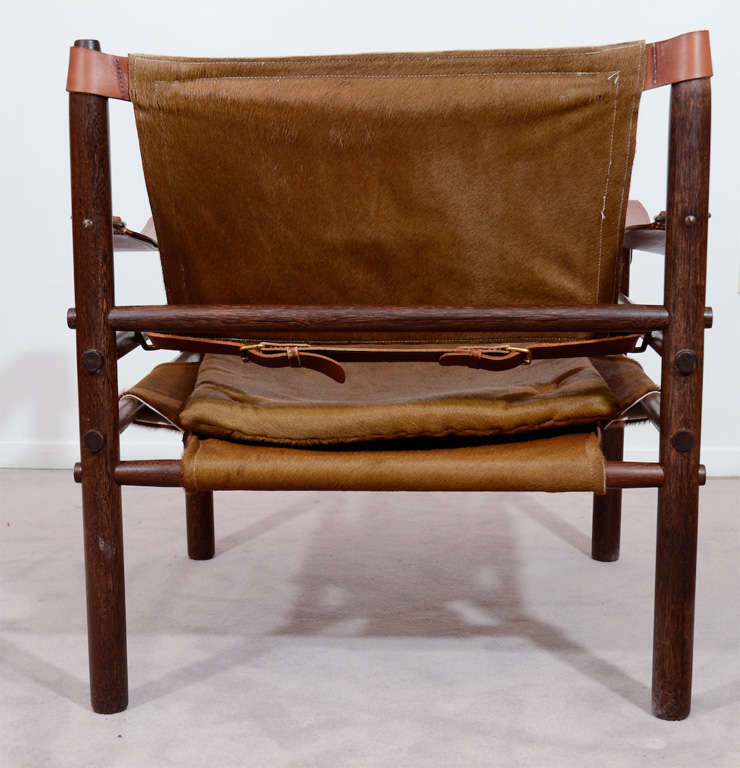 Brown leather and beige canvas fabric. Signed with label. 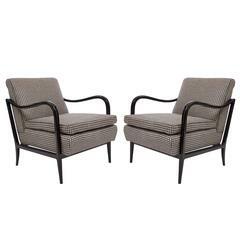 Global front door shipping, delivery within 7 days: USD 199. 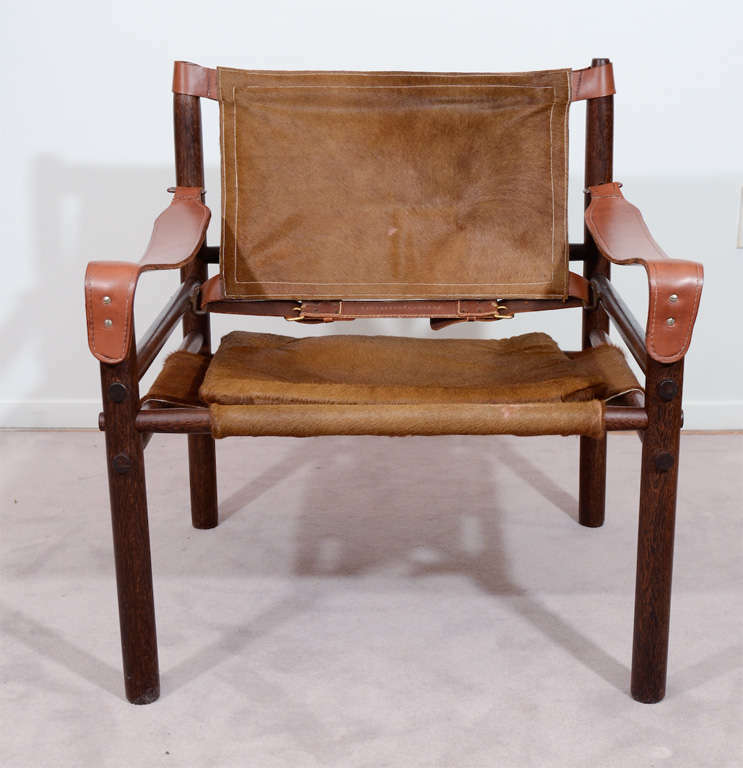 Lovely safari chair / easy chair in leather designed by Arne Norell, 1964, produced by Arne Norell AB in Aneby, Sweden, 1960s.